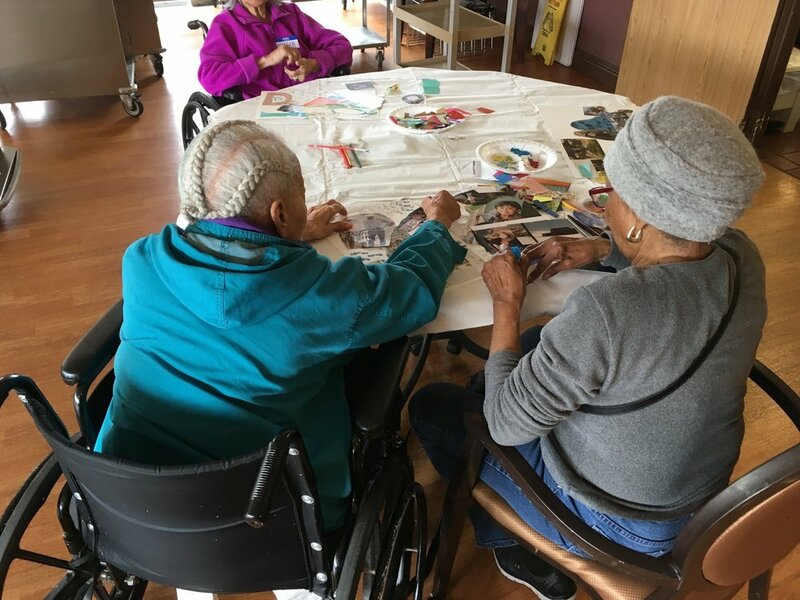 This pilot program works with student, young, and emerging artists to consider a hybrid form of the facilitation of arts programs for older adults and people living with dementia. It takes a form more similar to an art class or participatory project, allowing all groups to inform one another’s work. Participants for the first pilot program includes students at College of Alameda’s Workability III Program, residents at Alameda Healthcare & Wellness Center, and Master Teaching Artists.